One of the earliest entries for the Festival of Sails 2016 is the brand new Bordeaux 60 that made its stunning debut at Hamilton Island Race Week last month. Chris Barlow, a member of Sandringham Yacht Club located across Port Phillip’s vast bay from Festival host Royal Geelong Yacht Club, will turn plenty of heads as he did in the Whitsundays when he showcases Platinum in the Cruising with Spinnaker division at the upcoming Festival, January 22 – 26, 2016. The Bordeaux 60 is the first model of the CNB Yachts range and only one of two in Australia. It performed well at Race Week and “did everything it was meant to” at its first competitive outing Barlow assures. Now the luxury 60-footer is signed up for the RGYC’s 173rd keystone event. The Cruising division regularly attracts the largest fleet and accommodates the greatest spectrum of boats in terms of size, age and affordability. On the same early bird Cruising with Spinnaker division list, measuring in at a smidge more than half the length of Platinum, is Kon Cili’s new boat. The Phillip islander needed more space for serious cruising and after travelling over a two and a half year period to check out boats for sale in Sydney, Brisbane and Hobart, bought Friday Harbour, a 30 year-old European design, from the Melbourne seaside suburb of Brighton. Cili believes Friday Harbour could be the only Sweden 34 in Australia; 400 were built over 11 years, from 1986 up until the mid-1990s, with most going to European and American owners. There’s no washing machine, but it’s comfortable and there are the very European diesel run heaters and ample space for Cili to cruise the boat in Tasmania next year and up to the Whitsundays in 2017 for the warm-weather Airlie Beach and Audi Hamilton Island race weeks. Cili had only owned Friday Harbour for a couple of months when a nasty accident reversing into a marina pen left him with two broken bones and his arm in plaster from April to June this year. 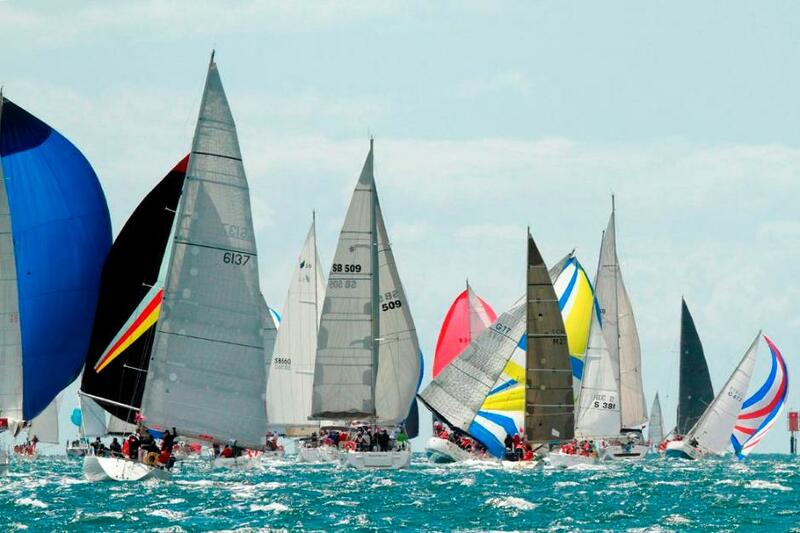 He’s slowly working towards getting full movement back in his arm and hand and looking forward to the upcoming calendar of racing out of his two clubs, Newhaven Yacht Squadron at Phillip Island and Mornington Yacht Club south of Melbourne on the Mornington Peninsula. Sweden 34 Friday Harbour - photo courtesy owner.